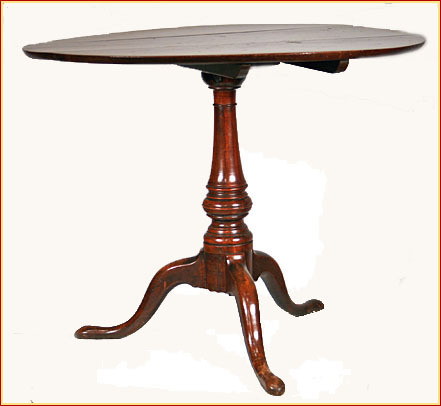 DESCRIPTION: This circular tilt top tea table is rare, graceful, and elegant with its beautiful suppressed belted ball column, one of the signatures of the Chapin School of the Connecticut River Valley. 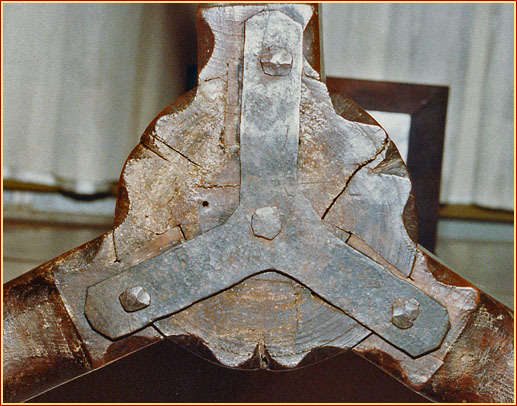 The table exhibits multiple features typical of the work of Eliphalet Chapin. 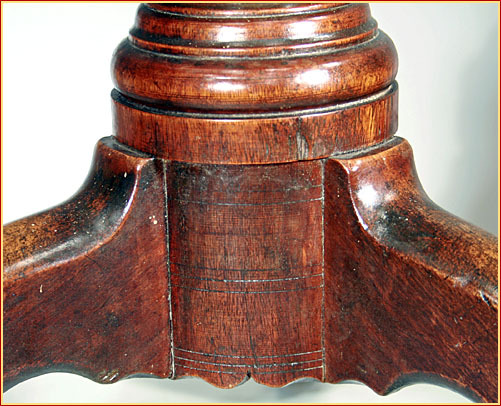 The decorative scribe marks at the base of the column, the low slung ankles of the cabriole legs, and the ogee shaping of the batten ends are associated with his work. Eliphalet Chapin (1741-1807) of East Windsor, Connecticut, who has been recognized as probably the best Eighteenth Century Connecticut cabinetmaker, introduced design and construction features of the best Philadelphia furniture into the Connecticut River Valley after having worked for four years in Philadelphia. His work offered Connecticut clients an alternative to the Boston furniture designs. 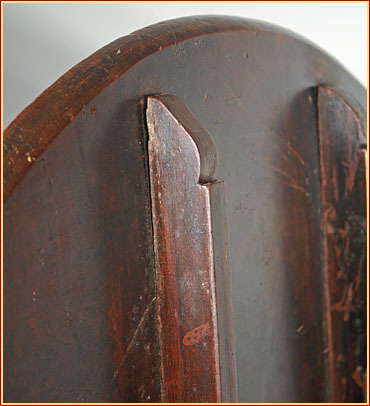 Thus, Chapin's apprentices and those emulating his style, began producing pieces with these lovely features. 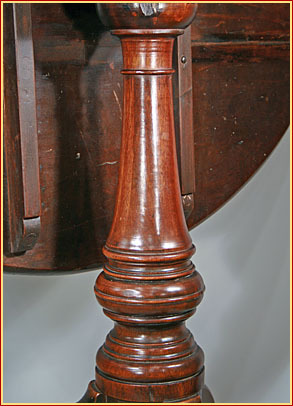 DIMENSIONS: Height: 27 3/4" Top: 33 3/4" X 34 3/4"
REFERENCES: Kugelman and Kugelman, Connecticut Valley Furniture, pages 134, 137; Wadsworth Atheneum, Connecticut Furniture, 17th & 18th Centuries, pl. 169; Sack, Volume II, pg. 390, P. 985, Fales, Furniture of Historic Deerfield, Fig. 322. PROVENANCE: Private New York collection since February, 1984; previously in a private Connecticut collection. REPAIRS: Minor, neat repair to battens with small pieces of cherry where screws had loosened and damaged adjoining wood.